While the Thirty Years' War was slowly coming to an end in the Holy Roman Empire, the next religious conflict in England was already smoldering in the interplay between the conflict between King and his parliament. If the king wanted to exercise his power fully, the parliament continued to strengthen his own power. The tensions eventually ended in civil war on English soil. 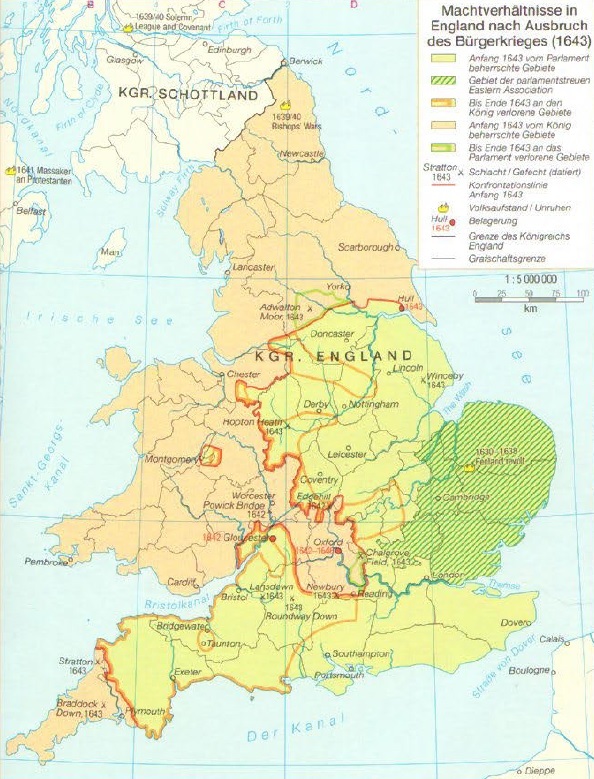 The Kingdom of England, with its occupied territories of Scotland and Ireland, was divided into four distinct religious orientations in the 17th century. These included the Anglicans, Puritans, Presbyterians and Catholics. Already in 1534, the Anglican state church in England had established itself under King Henry VIII. Under Elisabeth I, this could continue to consolidate, but since the lessons hardly differed from Catholicism, the radical Calvinist Puritans were enormously popular. After the death of Elisabeth, Jakob VI followed her. of Scotland, which united as James I. 1603 for the first time Scotland and England as king. Jakob was a convinced Protestant, but unlike his predecessors, he put more emphasis on his political power than on his beliefs. He took the view that his rule was due solely to the grace of God and that he had to give account only to him. Thus he got into a direct conflict of interest with the English Parliament that was already 300 years in England integrated. Although its powers were far from the current levels, England was much more advanced in democratization than the rest of Europe. For his power base, Jacob approached the Anglican state church, as its religious leaders were also convinced the thesis of the divine right of kings. At the Anglican Episcopal Conference of 1604, both the Puritan and the Catholic faith were banished, thereby exacerbating the tensions in England significantly, the 1605 Pulververschwörung should reach their peak for the time being. In this conspiracy, Catholic nobles led by Guy Fawkes wanted to assassinate Jakob and all parliamentarians. However, the attack could be thwarted in advance. His authoritarian leadership remained with Jacob. 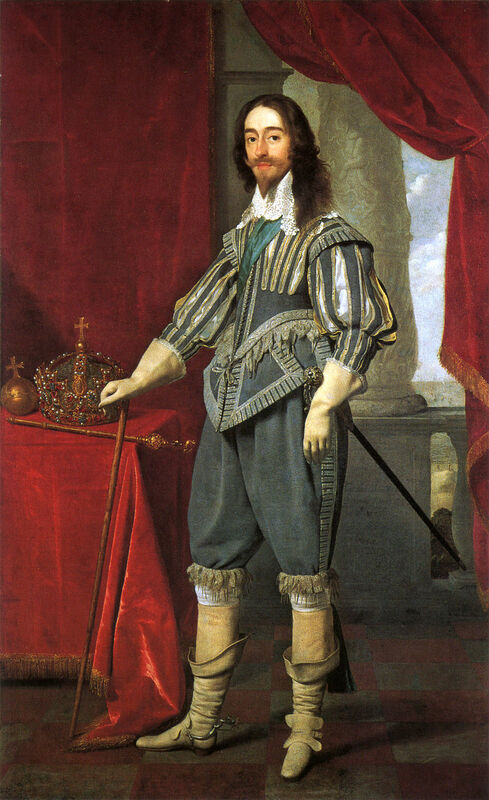 After the death of James I in 1625, his son Charles I succeeded to the throne. Karl married the Catholic Henrietta Maria de Bourbon, daughter of King Henry IV of France, thus inciting especially the Puritans against him, especially as he represented the royal divine grace to a greater extent as his father and a reconciliation with the Catholic Church propel. Thus, the parliament, consisting mainly of Puritans, began to deny the king the financial means he needed to rule. As a result, from 1628 onward, Karl no longer called a parliament and ruled unrestrictedly over his empire until 1640. He also pursued his political opponents, especially the Puritans, and raided advisors like William Laud, archbishop of Canterbury. Laud began to enforce a uniform, Anglican constitution, which also affected the Presbyterian, whereupon the Scots began an uprising. In 1638, the Presbyterian embossed Scots united to form the Covenant with God to oppose the plans of William Laud, Archbishop of Canterbury, for a unified Anglican church constitution. In 1639 Charles ordered his advisor Thomas Wentworth back from Ireland, appointed him Earl of Strafford and ordered him to defeat the uprising of the Scots militarily. Strafford's campaigns failed, however, and the high cost of the war forced Charles to convene again in 1640 after eleven years, the parliament to get new funds granted. The parliamentarians, however, were very critical of the military campaigns in Scotland and the ruling style of Karl, with which Charles dissolved the parliament after a short time again. Due to persistent military failures Karl summoned this again in the same year. In order to rule out a renewed ignoring of the conditions for the funds, Karl had to agree to some new conditions. So it was demanded that he should accuse his adviser the Earl of Strafford because of high treason. Karl agreed, Thomas Wentworth was then executed in 1641. Now the Irish Catholics feared an aggressive and violent Anglicanization of the country by the loss of their well-disposed Earl of Strafford. Thereupon, a rebellion also took place in Ireland in 1641, when dozens of settled English and Scottish settlers of Protestant faith fell victim to the mob. Through the open rebellion of the Irish, the parliament approved the funds needed, but tried to leave the army thus financed not under the command of the king, but to let it lead independently. By doing so, they tried to prevent the king, instead of suppressing the uprising, to consolidate his own power in England, even if by military force. The ensuing controversy over the subordination of the army finally divorced the parliament into the king-loyal camp, which held to the grace of God for the king and the parliamentarians who wanted to limit the power of the king. Incited by loyal parliamentarians, King Karl went so far as to carry out a coup against the opposition of the Parliament in 1642. He marched with 400 soldiers to the lower house to have 5 parliamentarians arrested. However, they were able to flee before they arrived. Karl, however, had violated the rights of the parliament with his action and committed a significant breach of the constitution. This led to a loud indignation of the people of London, so Karl went to Oxford and gathered his faithful followers around him. In return, the lower house dealt with the establishment of its own army to take action against Karl and his advisers, the so-called royalists. 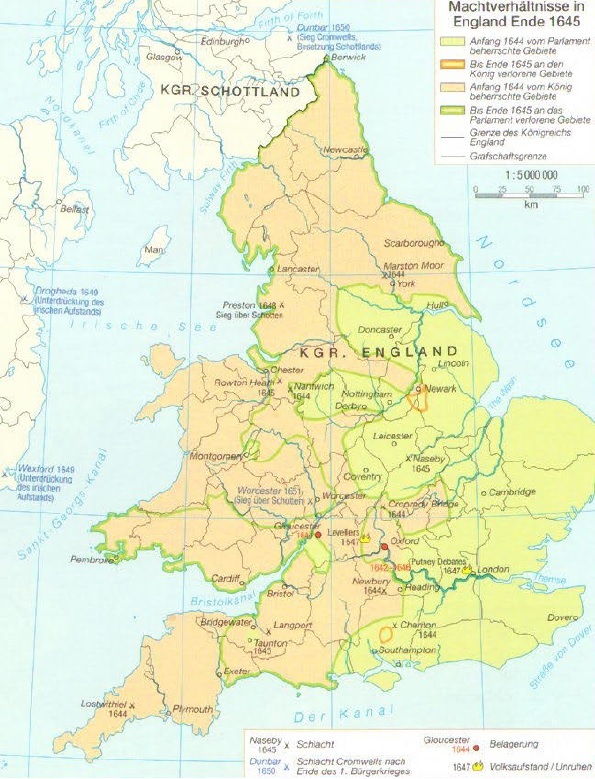 After the military clash between the royalists and the parliamentarians (who were also called roundheads because of their round haircut) joined the king the areas of Wales, in Cornwall and the northeast of England. The first meeting of the two armies was at the siege of Kingston upon Hull by the Royalist Earl of Newcastle, who broke off the siege on 11 October 1642. On October 23, Edgehill hosted the first open field battle, but without a winner. On their way to London, the Royalists took on the road Oxford. General Skippon was charged with defending London. He fortified the city with his 20,000 men, but it did not come to a fight. In 1643, the Scots began to take sides with parliamentarians after the royalists, led by Sir Ralph Hopton, captured the cities of Devon, Dorset and Somerset. In July, the army of Hopton joined the army of Ruprecht of the Palatinate, in the course of which the combined army could take the city of Bristol attack and high losses. With Gloucester another city was besieged by the Royalists, but when the relief army of the parliamentarians led by Robert Devereux, 3rd Earl of Essex arrived on 5 September 1643, the Royalists withdrew. A battle between the two armies took place later on September 20 at Newbury, but again there was no clear winner. The year 1644 began with some defeats for the royalists. So they had to give up the siege of the city of Nantwich on January 25, when parliamentary troops under Sir Thomas Fairfax came to the city's aid. On July 2, both armies met at York, as the parliamentarians besieged the city and were challenged by the royalist army leader Ruprecht of the Palatinate for an open battle at Marston Moor. The royalists also suffered heavy casualties there. Thus, the royalists lost control of northern England. In the southwest of England, the Royalists were able to achieve their last major victory when they lured the army of the Earl of Essex on September 1 at Lostwithiel in Cornwall in an ambush and caused him heavy casualties. Subsequently, King Charles moved his army back to Oxford. The decisive advantage of the parliamentary army against the royalist army came from 1645 to the fore, as the construction of the so-called New Model Army was completed and this could be used in the war. 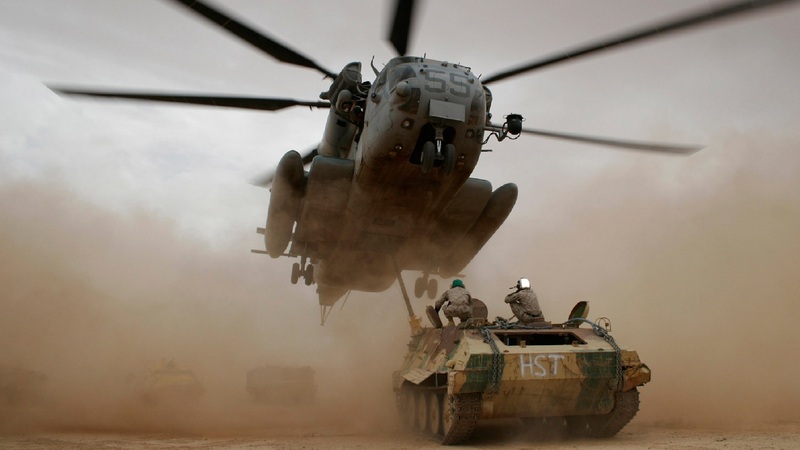 This army was made up of professional soldiers who were excellently trained, equipped and salaried. In addition, soldiers could work their way up to higher ranks, which was otherwise reserved only for the nobility. The first success was achieved on June 14, 1645 at the Battle of Naseby, when Charles's troops were defeated. Also on 10 July at the Battle of Langport Karl suffered a defeat. By the fall of 1645, parliamentarians were able to conquer such large areas. In 1646, the royalist troops were entirely on the defensive. After the parliamentary troops took 8 May Newark-on-Trent and the last city fell in northern England, Oxford was besieged shortly after, where Charles retired after his defeats in 1645. Karl himself was able to flee the siege ring and fled to Newcastle to seek protection from the Scottish troops. After he recognized the hopeless situation of his army, he ordered on June 16, 1646 all his soldiers stop the war. 1647 Charles was delivered by the Scots to the parliamentarians. These were involved in internal disputes with the army during the imprisonment of Charles, whose circumstance took advantage of Charles, the Scots could pull on his side and began a new civil war. With the rebellions of July 1648 of the royalists loyal to royalty and the invasion of Scottish troops, the war which had been settled was rekindled, and could soon be ended by the defeat of the Scottish army by Oliver Cromwell and the pacification of insurgent cities. Only in Ireland did the insurrection continue. Oliver Cromwell had earned a high reputation during the civil war by his military successes. In addition, he had the support of well-equipped citizens, which significantly strengthened his power and influence. Thus, after the civil war with the help of the army, he was able to arrest dozens of Presbyterian and royal spokesmen and deny access to parliament for some others. Through these measures, the parliament reduced itself to a so-called "rump parliament", which opened a process against Charles at the urging of Cromwell as a result of which he was found guilty of abusing his power and executed on January 30, 1649. By the execution of Charles I, England was subsequently governed by the Rump Parliament in the form of a republic consisting of England, Scotland and Ireland in the Commonwealth. This ended for a short time the monarchy in England. But already in 1653 the new republic was replaced by a military dictatorship under Cromwell as Lord Protector. Until 1658, he held power before he died and his son Richard succeeded him. But he could hold only until the year 1660 in office before the parliament demanded his abdication and Karl's son, Charles II. From France to England and this used again as king. Although this restored the monarchy in England, it had to lose much of its former political power. For this, the parliament emerged from the civil war significantly strengthened.